On Saturday let’s hike to the heart of Andros to the east coast… Remata-Lefka beach-Ateni beach! 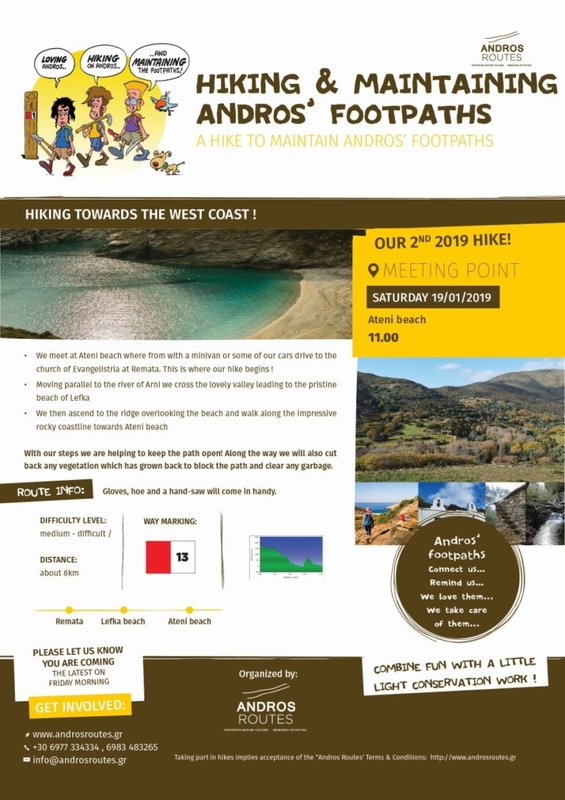 On Saturday the 19th of January let’s hike together to the heart of Andros to the east coast… Remata-Lefka beach-Ateni beach! We meet at Ateni beach where from with a minivan or some of our cars drive to the church of Evangelistria at Remata. This is where our hike begins ! In the maintenance hike…circular route Scholi-Ano Gavrio-Agios Petros-Scholi... In the maintenance hike Remata – Lefka beach – Ateni beach!